This is a two-part article about the importance of grading coins properly in Proxibid auctions. Grading coins is part science, part art, but if Proxibid auctioneers are going to sell coins regularly, they might develop a deeper knowledge of grading. There are ways to improve your numismatic knowledge, and doing so will increase your profits, consignments and return customers over time. Although Proxibid may schedule 70 coin auctions per month, fewer than a half dozen houses accurately grade coins. 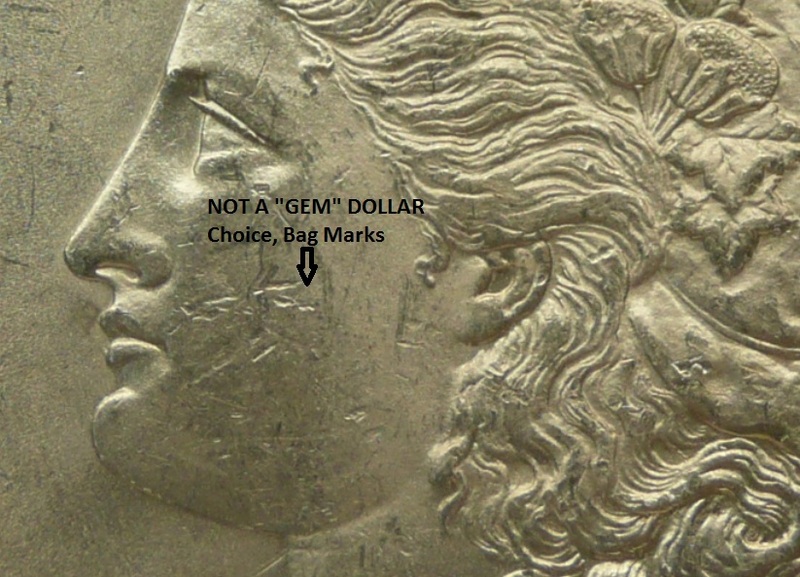 A few houses know coins and hype lot descriptions, calling slider coins “gem” and brilliant uncirculated coins “deep mirror.” Don’t be swayed by extensive numismatic sounding lot descriptions if those descriptions don’t hold up to grading standards. Read numismatic magazines like Coin World or online ones like CoinLink or Coin Update News. Subscribe to CoinFacts whose photography and coin encyclopedia are the best numismatic tools on the Internet. Attend classes, seminars and educational programs by the American Numismatic Association. Learn how to submit coins to top grading companies, such as PCGS and NGC. Grade each coin in consignment by using standards as illustrated by PCGS Photograde Online. Never list a consignor’s grade in your lot description without noting it is not your grade; rather, correct over-enthusiastic consignor descriptions especially when they exaggerate on flips. Do not use PCGS Price Guide or Coin Values price data on coins unless they are graded by PCGS (for PCGS holdered coins) and Coin Values (for PCGS, NGC, ANACS and ICG). Never hype coins, exaggerating details, scarcity or other intrinsic value. Stop pretending that every coin in every auction has come from a safety deposit box of a recently deceased octogenarian. Invest in a good digital camera, make sure you have proper lightning, capture luster and never alter a photo to make the coin seem better than it actually is. In the next installment of Proxiblog, we will identify auction houses that graded accurately–so much so, that their raw coins graded at the same level or higher by PCGS. This entry was posted in Articles, Best Practices and tagged American Numismatic Association, ANACS, Auctioneers, AuctionZip, Coin Auction, Coin Update News, Coin Values, Coin World, CoinLink, ICG, iCollector, National Auctioneer Association, NGC, PCGS, PCGS CoinFacts, PCGS Photograde Online, PCGS Price Giude, Proxibid, Proxiblog. Bookmark the permalink.